10. Gather a few fabric-loving friends (and your favorite snacks) for a modern quilting bee. 9. Share your love of quilting with a young person. 7. Devote some time to your creative space by tidying up, or stitch up a new mug rug, or pincushion. 6. Create a charity quilt for a nearby hospital or other organization. 5. Choose a BOM quilt project — we’ve got some suggestions! 4. Book yourself on a quilting-related vacation, expo or weekend retreat. 3. Visit your local quilt shops, including those participating in Worldwide Quilting Day. 2. Enter WQD’s Star Block Challenge (you can enter from March 21 through April 21, 2015! Of course, these suggestions are great any time of year, and we know you’ve probably got lots of other ideas… How will you spend the day? Who Won the Giveaways for WEEK #9? Well, it looks like we’re off to a very enthusiastic start with our new “Friends & Companions” Designer Sew-Along, judging from our first installment by Pam Buda of Heartspun Quilts. Her block is gorgeous, isn’t it? Check out her opening blog post and join in the excitement! 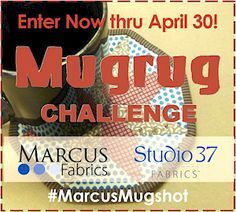 You can even win prizes from your favorite Marcus designers, or a Grand Prize at the end of the sew-along. For the next nine weeks, we’ll post one block with instructions on each designer’s blog, resulting in the Big Reveal on October 3…stay tuned! Marcus and The Quilt Merchant Celebrate Lisa Even! The excitement over our Just Judie quilt competition continues, as Marcus Fabrics celebrated the achievement of our Grand Prize winner, Lisa Even of Barrington, IL, whose entry was sponsored by The Quilt Merchant in Winfield, IL. Our own Director of Marketing, Pati Violick, brought a trunk show of the three winning quilts, along with some of Judie Rothermel’s creations, as attendees oooh’d and aahh’d the gorgeous fabrics and techniques! Pam Buda of Heartspun Quilts and Marcus sales rep Bill Garrettson also joined in the fun. Check out some of the highlights: Lisa shows offer her fabulous work – it earned her a $2500 cash prize, and a Brother Laura Ashley Innova sewing machine! Quilters also enjoyed a close-up of Marcus’ Civil War PEACE & UNITY BOM quilt. This is the final installment of our Civil war series. Judie Rothermel’s miniatures were a highlight of the day…these minis, from her private collection, made a rare public appearance. Such small quilts, such huge impact! Taking Second Place in the Just Judie competition was Sarah Bond’s creation. We love her Orange Peel design. Done in Judie’s fabrics, its’ the perfect marriage of trend and tradition! It’s shown off here by Quilt Merchant owner Valerie Langue (left) and Pati Violick of Marcus Fabrics. For more photos, visit Pam Buda’s blog. Thanks to everyone who came to join us in celebrating Lisa, Judie, and the quilting traditions we all love! Lisa, enjoy your machine…we can’t wait to see what you come up with next! 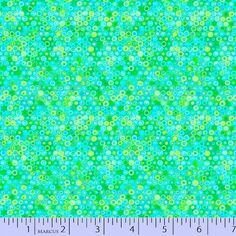 Where Are the Repro Fabrics Going?? In the past week or so, we’ve been hearing the whispers, and had these very questions from consumers. 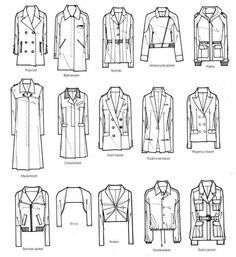 Rest assured, and allow us to explain: For some time, there had been many new players in the reproduction area, secondary sources who were offering the look in addition to the more established reproduction fabric manufacturers like Marcus. We believe that what you’re seeing is a retreat from reproductions by these secondary sources, as their attention now turns to more contemporary looks in the wake of the “modern” category. So, while it does seem as though fewer of these prints are available, you can be assured that for those of us in the industry whose strength has always been the reproduction & historical fabrics, you’ll continue to see our finest efforts in your local quilt shops. P.S. And yes, we do believe you should continue to collect the fabrics you love, from Judie Rothermel to Paula Barnes and more! A New Look for Judie’s Website! 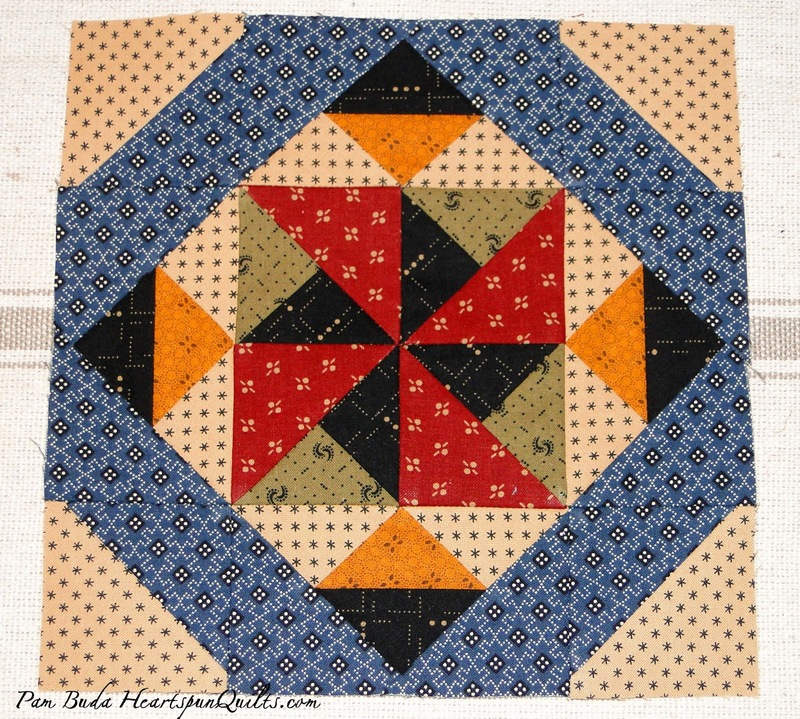 Judie Rothermel fans, be sure to check out her new look online, and note that Schoolhouse Quilts will be at the Broward Quilt Expo this weekend as well as the Cincinnati Quilt Festival next month! In addition to visiting your local quilt shops, these are two great opportunities to pick up what you need for your Just Judie competition entry...enjoy!